Come one, come all, you're invited to a headbangers' ball! That's right! Smash, crash, bang, and slam the night away with two of the rock' strongest forces — Disturbed and Breaking Benjamin; along with Alter Bridge & Saint Asonia to open up the stage and pump-up the volume. This double-headliner tour will definitely drive alt rock and metal fans out of their dark caves and into the light to get their hands on concert tickets. Don't be a wallflower. Get out, and get your tickets now! This double-headliner tour will come smashing into various cities and states all over the country. Disturbed and Breaking Benjamin, with Alter Bridge and Saint Asonia are reputed noisemakers that would give headbangers a taste of earth-shattering and electrifying paradise. 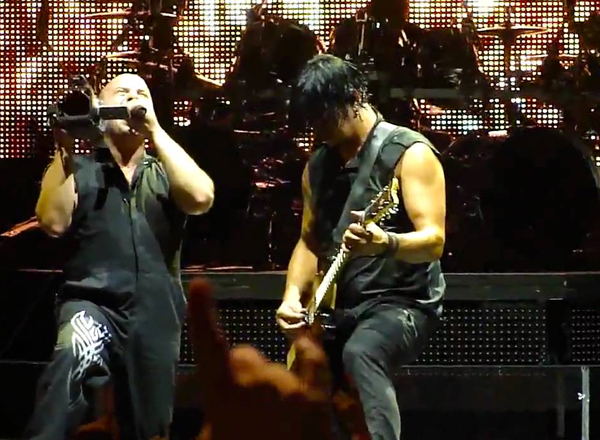 Vocalist David Draiman, bassist John Moyer, guitarist Dan Donegan, and drummer Mike Wengren are collectively known as Disturbed. Formed in 1994, this heavy meatal, alt-rock and nu metal outfit has released six studio albums to date, and five of which have all debuted at the top of Billboard 200. They went on a hiatus in 2011– going on their own separate ways to focus on solo endeavors. They returned in 2015 and released their first album in five years.